Pilates Ebook Exercises can help you Get Relief From Your Back and Joint Pain Today! I guarantee it or your money back! The new revised Pilates Ebook offers you 30 more detailed pictures and modifications on the Classic Exercises along with Pilates Principles and Standing Posture and Balance Exercises. You are about to learn the exercises that I have been experimenting and testing on my own students for over 15 years. I wrote this book to help improve the lives of countless people who are suffering. Pilates is not just for movie stars who want to keep their firm and toned figures. Pilates is for people at every age who want to look and feel their best! Just read some of the testimonials from students who have improved their lives with Pilates! They are both men and women, everyday people of all ages up to even 92 years. "The results really are amazing! My fibromyalgia pain is down, flexibility and strength are up improving my balance…even my sleep has improved. This is something I recommend to everyone." "I absolutely need gentle core movement to keep flexibility in my back because of chronic sciatic and lower back pain. After months of taking Pilates, I hate to miss any of my classes because I always feel better after doing them.” “I also have Osteoporosis and use the modifications outlined by Jennifer to protect my bones from further stresses." "Through Pilates I have better posture and balance. I also notice increased energy and endurance to do my day to day activities." "Incorporating the Pilates fundamentals into my strength training workouts has greatly improved my form and technique. It makes me more aware of how I move and breathe, helping me to protect my back and joints by using my muscles in the correct way." "Pilates has improved my balance and joint pain. I feel stronger and more graceful when I move." "I have always had a weak and sore back and I hate to do the exercises on my stomach, but I realize these are the most helpful. Since doing Pilates regularly I notice my posture has improved, I stand taller and my back does not ache like it used to." "As a flight attendant for years I was on my feet all day and sometime in my career I herniated a disc in my back. I have not had surgery and notice that when I do my Pilates exercises it does not act up like it used to do. I am a tall thin person and I notice I stand straighter which makes me look younger than I am." How Did I Discover and Start Using Pilates for Back and Joint Pain Relief? Hello! 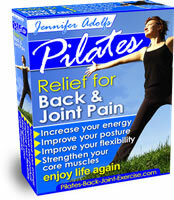 My name is Jennifer Adolfs M.S.S., and I am the founder of the website www.Pilates-back-joint-exercise.com. 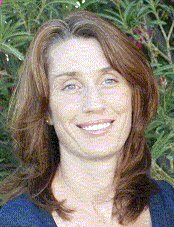 I am an advanced mat and equipment certified Pilates Instructor through the PhysicalMind Institute, they have progressed Pilates original work and believe in training people in the neutral spine technique. I believe also that working in neutral is the healthiest way to train your spine. It takes into account the natural curves of the spine and strengthens them in this state allowing the body to function naturally and without pain. I am also certified through the American Council on Exercise as a Clinical Exercise Specialist and have worked extensively with special populations to rehabilitate spine and joint, as well as other health related conditions. Working as an Exercise Specialist for over 16 years I have found the benefits of regular exercise, particularly weight-bearing exercise and the amazing results, especially for my senior clientele. Their mobility and strength have improved dramatically which, in turn, assists in their independent living. All my students were functioning well and getting stronger and staying healthy and injury free, but some were still experiencing pain and stiffness in their back and joints. Most of these aches and pains can be attributed to degenerative spine conditions and arthritis that seem to be inevitable as we age, but I still did not like the fact that they were hurting. In the late 90’s I started experimenting with stretching and core strengthening exercises. I developed and led classes adjusting and modifying as needed for different populations and health conditions. Students were able to perform these exercises without feeling the pain and stiffness later; they actually felt energized after the classes. The classes kept advancing and progressing to benefit everyone, no matter how fit or de-conditioned they were. I started incorporating the fundamentals of these Pilates Ebook exercises into my client’s workouts, involving the breathing and core stability while they were performing their lifts. At the end of the workouts we'd finish with some stretching and core exercises and they promptly stopped complaining about being stiff and sore later. They actually had more energy for the rest of their day. Through trial and error I gradually developed an extensive repertoire of exercises that I found to be most beneficial for bone and joint conditions. This is what I have compiled in my Pilates Ebook here for you all. Are You Ready to Get Relief From Your Back and Joint Pain...? Or, Maybe You Just Want to Avoid The Pain and Stiffness That Many People Experience As They Age? We spend our whole lives using our bodies, or should I say "abusing" our bodies. The normal and sometimes abusive wear and tear contributes to much of our back and joint pain later in life. Pilates exercises, when performed correctly, and with the proper time devoted to the fundamental movements getting to the core of our bodies, can help to realign the spine and bring our bodies back to a more healthy functioning. If you are looking for a lengthy and over descriptive Pilates Ebook that will take you days or weeks to just finish reading then this is not your book. In just over 50 pages I have outlined and described exactly which exercises will help you relieve your back and joint pain. Each exercise outlined in this Pilates Ebook will describe what it does for you; the body positioning, the action involved (which body parts should be moving and which are stabilizing), modifications, and variations to improve your individual performance. The explanations and descriptions are short and to the point so you will know exactly what you need to do now! CLICK HERE FOR A FREE SAMPLE OF SOME OF THE EXERCISES YOU WILL RECEIVE. Teach you how to strengthen your deep inner core muscles to take away and prevent pain in the back. Advanced level suitable for anyone at any stage of fitness. For your convenience the 3 bonus workouts are outlined at the end of the ebook. These workouts are Beginner, Intermediate, and Advanced level workouts outlined with at least 17 thumbnail pictures that can be printed out so you can carry them with you and practice anywhere. Whatever level you are at you can follow these simple instructions to get your body looking and feeling it’s best. Here is all it costs for some relief from your back and joint pain. A GREAT VALUE FOR ONLY $20!!! That's right just $20! I am so sure this is just what you are looking for that I have discounted the price so it is more affordable for everyone and it comes with a money back guarantee. Try the exercises for four weeks and if you don't feel better let me know and I will offer you your money back! Normally the price to access the Pilates Ebook: "Relief from Back and Joint Pain” is $24.95 – less than the price of an individual Pilates lesson which can cost up to $80 for an hour session. Think of this as a first lesson with a Pilates Instructor with tons of useful information that you can continue to refer to each and every time you exercise. Contact me after receiving your Pilates Ebook with any questions or concerns about the exercises and I'll be happy to consult with you as another bonus for ordering. I want these exercises to work for you as they have for countless others. I think that when you begin using these exercises you’ll find it the best money you can invest in your own health this year. My hope for you is that this Pilates Ebook will add much more value to your life than you could ever pay me in cash value. P.S. If you are still not sure if this Pilates Ebook is right for you, use the contact me form to consult with me about any questions you have free of charge. Order today and I'll add in this additional bonus "The 5 Most Effective Ab and Back Exercises"! 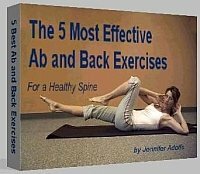 If you've been wondering why you aren't getting results from your current ab exercises and why your back hurts after you do them then you need this free bonus book. The exercises listed in this Pilates Ebook are those that have been tested over and over to be the most effective at developing all the different layers of abdominal muscles to make you look and feel great once and for all. You'll finally feel good about doing your ab exercises because you'll know exactly what to do to flatten and tone your midline, and it works! "Pilates was definitely worth it for me, my flexibility has improved which has cut down on pain in my back. I can touch my toes, I couldn’t even do it when I was 10!" "My body feels great after a Pilates workout, I feel like I’m glowing; invigorated and energized!" Leave Pilates Ebook and find more great articles and information about Pilates here. Are you searching for general Pilates articles or a particular exercise to help your back and joint pain?